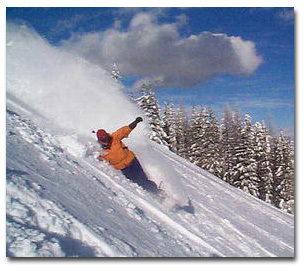 Challenging downhill skiing and snowboarding just 22 miles from Libby! 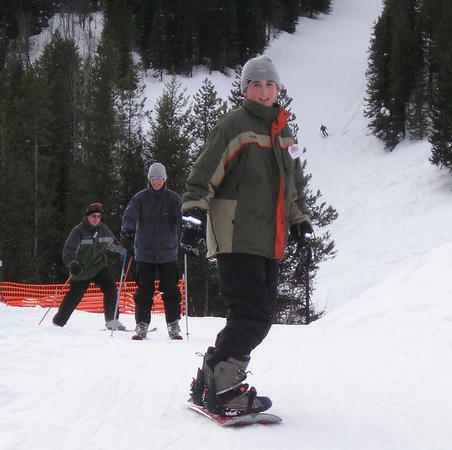 All volunteer-run Turner Mountain ski area has 20 runs ranging from Black Diamond to Beginner. 90% of the runs are rated either Black Diamond or More Difficult. The season typically runs from the end of December until the beginning of April. Turner Day lodge. Dedication was February 18, 2006. Work was done almost entirely with volunteer labor. 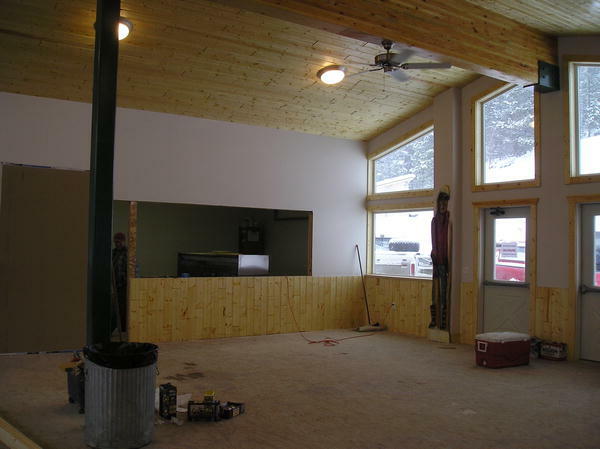 Turner Mountain Ski area has made two major improvements to the facilities over the past couple of years. 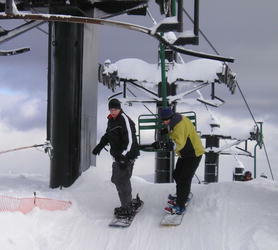 A new chairlift was installed for the 2002 ski season replacing the infamous 5,600 foot T-Bar. 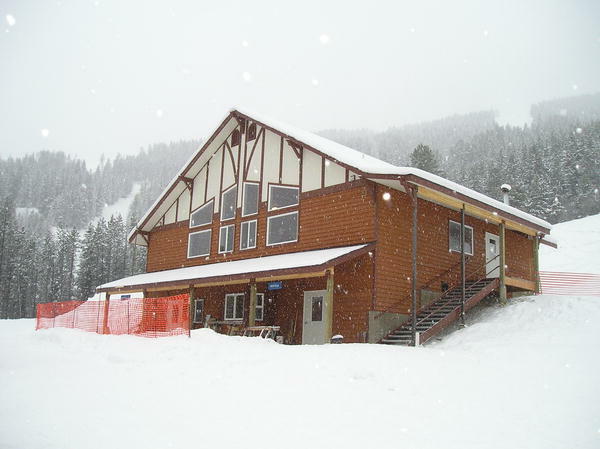 Kootenai Winter Sports and volunteers received funding from the City of Libby Economic Development Fund to build a new base lodge facility, which was completed and dedicated in February 2006. The 4,000 square foot, two-level lodge has food services and dining room on the main floor, and first aid facilities and a rental shop on the bottom level. Work to build the lodge was done mostly by volunteers. Turner Mountain stands at 5,952 feet elevation and has 2,110-foot vertical rise. 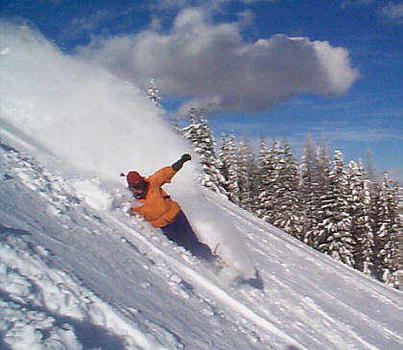 The all-volunteer run ski area has 20 runs ranging from Black Diamond to Beginner. 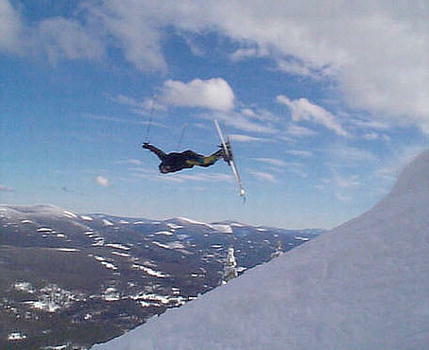 70% of the runs are rated Black Diamond. 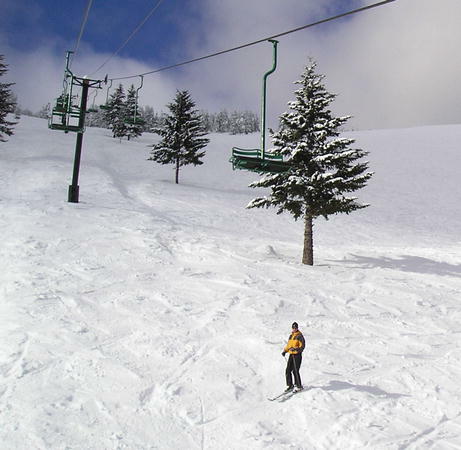 During the winter, the ski area is open Friday through Sunday, holidays and by reservation. 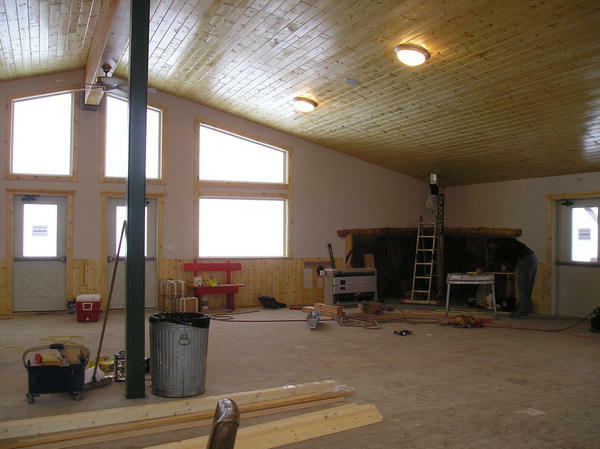 It has a snack bar, ski rentals and instructions available during the ski season. The season typically runs from the end of December until the beginning of April, depending on the weather. The area typically receives about 250" of snowfall a year. Note: There is no telephone service, electricity or running water at the ski area. Turner is currently in the process of implementing an overall development plan. 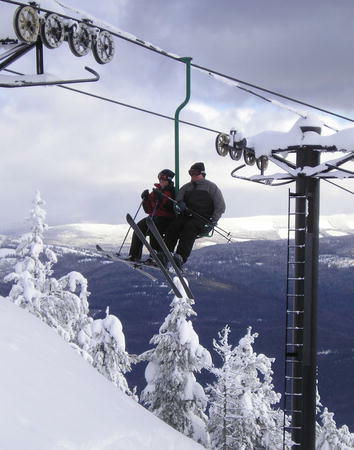 They purchased and installed a used chairlift and had it installed for the 2002 ski season. 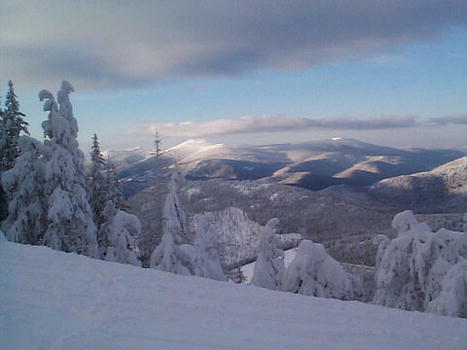 Turner Mountain Ski Area is available for private rental Monday through Thursday during the ski season. Start/End date depends on snow conditions each season. Transportation, Lodging & DirectionsLibby is serviced by Amtrak train. Libby has a small general aviation airport for private planes. Commercial air flights are available into Kalispell and Whitefish, Montana airports and Spokane, Washington. Rental cars are available at the airports. Lodging, food services and car rentals are available in Libby. 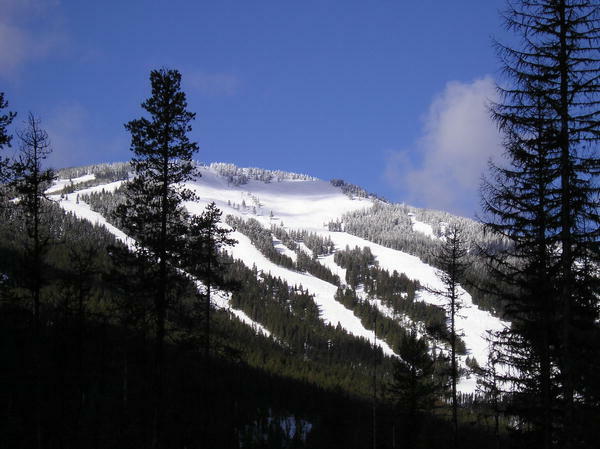 Turner Mountain is located 22 miles North of Libby, MT, about halfway between the Big Mountain and Schweiter Mountain ski areas of Montana and Idaho. Libby is served by Amtrak's Empire Builder and is easily accessible from Spokane and Glacier Park International Airports. US Highway 2 provides access from the East and West, and State Highway 37 from the Canadian border. When arriving on Hwy 2, turn North on Hwy 37 and cross Kootenai River Bridge. Turn left on State Hwy 567 (Pipe Creek Road). Drive 20 miles and turn left onto Turner Mountain access road. 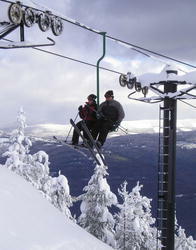 Ski Turner Rentals, under new ownership, is located in the new lodge. 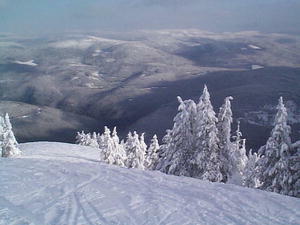 Ski & snowboard rentals, tuning, hot wax, p-tex, apparel & accessories. Featuring Head "Big Easy" skis and K2 "Clicker" snowboards. Turner lodge construction photos by Maggie Craig, LibbyMT.com, January 2005. Snowboarding photos by Matthew Bunk. Winter scenes at Turner by Kent Johnson unless otherwise indicated.